Jessica Fox, Richard Walker and Amber Coy of Muskogee are charged with multiple felony counts after they were accused of hiding Cody Wayne Fox, a fugitive accused of assault and battery, threatening to perform acts of violence, first-degree robbery, assault and battery with a dangerous weapon, kidnapping for extortion, conspiracy, domestic assault and battery with a dangerous weapon, domestic assault and battery by strangulation, endangering others while attempting to elude police, possession of a firearm after former felony conviction and more counts of threatening to perform acts of violence. Cody Fox was charged on Jan. 16 after being accused of holding Jennifer Brady at knifepoint inside her car, strangling her and running from police, attempting to ram a police vehicle, possessing a weapon in the process after he was formerly convicted of a felony and threatening to kill Brady and her daughter. He was convicted in 2011 of domestic assault and battery (two counts), unauthorized use of a vehicle and in 2017 of domestic assault and battery by strangulation and domestic assault and battery. Jessica Fox, Coy and Walker are accused of knowingly hiding Cody Fox from police and then helping him kidnap Malorie Burroughs and steal a number of things from her: an iPhone, a 55-inch TV, an Xbox, 15 pairs of Miss Me Jeans, hair supplies, another TV and two DVD players. 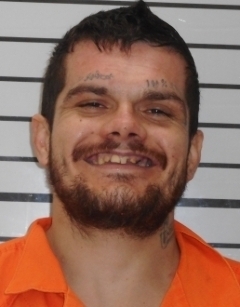 Burroughs told police that, after police left her residence while looking for Cody Fox, a few hours later, he came to her house, pushed his way through the doorway and stripped down naked to get rid of mud-drenched clothes that were dirty from him hiding underneath her trailer. 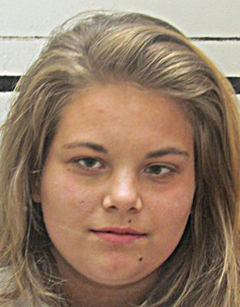 Cody Fox’s sister Jessica is then accused of immediately taking Burroughs’ phone and car keys and demanding the Burroughs take Cody Fox anywhere he wanted to go. She told police she later discovered that it had already been planned for him to come to her house. Jessica Fox then left with the goods and the car and was gone up to five hours, Burroughs told police. 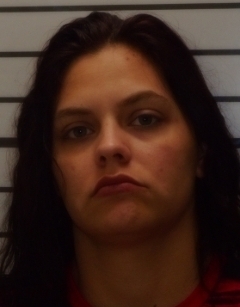 When she returned, she allegedly had Walker and his girlfriend, Coy, with her. The group all left and went to Walker’s house, according to Burroughs. 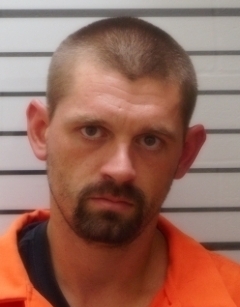 Cody Fox then allegedly forced Burroughs at knifepoint to drive him to Dallas, where he was later taken into custody.